In just the past couple of weeks, here at ACEI, we have been suddenly blessed by a flow of credentials from individuals with degrees in music. Holders of these degrees are from all corners of the world and studied at conservatories and universities from Russia, Cuba, Venezuela, Italy, South Korea, to Canada. They are all seeking teaching positions at various high schools and colleges throughout the U.S. Coincidence? Perhaps, but a very happy and encouraging one to know that music education in this country is alive and highly talented and qualified individuals will be teaching our young people. Having just watched the film “Whiplash,” the story of a promising young drummer as a first year jazz student at a prestigious and cutthroat music conservatory and his abusive and demanding teacher, I was reminded of my early childhood experience with learning the piano. The actor J.K. Simmons who plays the role of the teacher in “Whiplash,” won this year’s Oscar for Best Supporting Actor, a much-deserved award, though his character’s personality is nothing like my former piano teacher, Suzi. I was seven when I first met Suzi. She was twenty-five. A recent graduate of the Vienna Conservatory, the daughter of upper middleclass Armenian parents living in Tehran, Suzi was a virtuoso. She could have been a concert pianist performing around the world, yet for reasons unbeknownst to me, she had chosen to return to Iran, move in with her parents and teach piano to children of privileged Iranian families. Finding me a piano teacher had been my mother’s idea. After seeing “The Sound of Music,” I had pestered my mother that I wished to learn a musical instrument and the piano was my number one choice. She had surprised me with news of fulfilling my wish by picking me up from school one chilly afternoon in Autumn and taking me directly to Suzi’s house. She met us at the entrance to her house that like most Iranian homes was hidden behind high walls and a large iron gate. Tall and rail thin with pale skin and light green eyes, she struck me as a ghostly figure emerging through the plume of her cigarette smoke. A far cry from Julie Andrews’s timid Maria of The Sound of Music, Suzi commanded a regal presence in her designer tailored dusty rose suit with pumps displaying the famous Chanel logo and the short single strand of pearls adorning her swanlike neck. We followed her through the inner courtyard carpeted with yellow, russet and orange leaves, past the decorative shallow pool empty of water but a few layers of leaves. She led us to the house, a two story building its façade bathed in pale yellow offset by white shutters and two white pillars standing on each side of the front door looking like sentries guarding the inner sanctum. Suzi’s music room, or the “studio” as she called it, was on the ground floor as was her apartment. Her parents lived on the second floor. As we parted with our coats in the marbled foyer, we trailed Suzi down the hallway carpeted with a well-worn Persian runner, past large oil paintings of landscapes mounted on cream-colored walls. The faint sound of classical music I had heard earlier in the foyer got louder and louder as we neared what I assumed to have been her studio. It was the most sublime piano music I had ever heard. “It’s Chopin…nocturne,” Suzi whispered as though our natural voices would somehow disturb the pianist on the recording. “Someday you will be playing these very pieces, my dear,” she said to me, her tone sincere and filled with optimism of my abilities, though until that day, I had neither played nor touched the keys on a piano. Her studio was spacious with French windows opening to the courtyard. A pot bellied stove had been lit heating up the room. A full-length Persian rug with rust and creamy white floral design covered the entire marbled floor. A partially drawn sliding glass door separated the studio from another that remained dark but I was able to make out the silhouette of a black grand piano. It stood alone in the center of the room like a king holding court with the low hanging chandelier as its crown. Bookshelves and framed oil paintings of pastoral landscapes hung on the walls. Perched atop the mantle and squeezed between books on the shelves and coffee table were small statues of men’s heads. Stacked against one wall was a collection of LPs, displaying covers of recordings by symphonic orchestras. Two upright pianos rested side-by-side against one wall. “Perfect for duets,” Suzi said, sensing my curiosity and invited me to look around while she and my mother sat on the sofa to talk. I jumped at the invitation and headed toward the framed photographs on the wall and on the pianos. They were mostly of Suzi sitting behind a piano or standing next to one on a stage with various people. In some photos she was dressed elegantly in an evening gown and in others she looked as she did on that day. Framed documents in an unfamiliar language adorned with gold seals and red ribbons covered another portion of the wall above the upright piano. The language wasn’t English but used the English alphabet. I was able to make out the word Vienna and Konservatorium, and of course, Suzi’s name. Graduation diplomas, I concluded. Little did I know then that thirteen years later I would be examining and evaluating diplomas like Suzi’s at a company based in the U.S. Still curious at the objects around me, I pointed at two busts atop the piano. “Who are those?” I asked. I didn’t know what a nocturne was but as soon as her long fingers touched the keys, the room was filled with the sound of music so glorious unlike anything I’d heard in my short seven years of existence. Suzi may have seemed fragile and almost frail on the outside, but the music that was emanating from the piano was powerful, yet intensely graceful and melodic evoking so much emotional sentiment that I found my skin tingling with goose bumps. So overcome I was by its sheer beauty that I fought hard to hold back tears as she played. Patiently, Suzi began the instruction and over time, I had not only learned to read musical notes but played them with confidence. 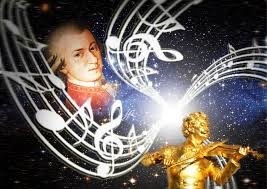 By the time I was ten, Beethoven’s sonatas, Mozart’s piano concertos, Tchaikovsky’s mazurkas were my go-to pieces of music. I continued with my piano lessons at Charters Towers School (CTS), the boarding school I attended for the next six years in England. At CTS, not only did I take lessons, I also prepared for exams with the Royal School of Music and participated in competitions playing solos and duets. I fared well and won a few awards and collected certificates. But it was during those brief visits to Iran for the Christmas or summer holidays when I’d resume my lessons with Suzi, that I felt a oneness with the piano. At Suzi’s I was able to enjoy playing the piano for the sheer love of the composers and their creations; free of the drudgery of competitions and pursuit of awards. It was at one of the lessons with Suzi during a summer holiday that she introduced me to a collection of Chopin’s nocturnes. “Let’s start with this piece,” she said, turning open a page from a book bearing a portrait of Chopin on its cover. I had just turned 13. I must have balked at the sight of the open page in front of me filled with a complex line-up of notes. “I’ll play a few bars and then it’s your turn.” As soon as she began to play, I was overcome by a sense of déjà vu. She was playing the very piece I had heard six years earlier when my mother and I had first stepped into her studio…the same piece she had played for me on that first day. Suzi had promised me that one day I too would be playing Chopin and she had kept her promise. I was sixteen when I last saw Suzi. I was heading to America to study but had plans to return for the long summer holidays. Unbeknownst to both of us, our lesson in summer of ’78 was to going to be our last. “Find yourself a piano at the university and practice, practice, practice!” These were Suzi’s last words. At the University of San Diego, I did find a piano and after graduation bought a piano and continued to play. To date, the piano is my go-to instrument to unwind, relax and create. I still play the classics but I’ve learned to improvise and free form. On occasion, I’m invited to play with a talented group of friends in their music studio. No sheet music, no notes, just stream of consciousness creating and performing. After spending 14 days in the extraordinary, international city of Istanbul, I began to liken it to a magical carpet, a monumental tapestry, created by millennia of weavers: the merchants, travelers, artists and craftsmen who’ve passed through it. As the only country in the world to span two continents, Istanbul has always been the nexus of the East and West. It is located at the point where the Golden Horn, a large, well-protected, natural harbor, meets the Bosporus Strait, which is the only waterway entrance to the Black Sea, and connects it to the Sea of Marmara, and eventually to the Aegean. This weaving together of diverse cultures and history has created a unique dynamic tension, a mosh pit of centuries old practice, and modern imperatives in commerce, culture and art, making it extraordinarily rich in every possible way. It is a place of historically significant geo-political intrigue and espionage, not to mention it’s choice as a location in several 007 James Bond films; Skyfall, The World is not Enough, and From Russia with Love. I swear my over active imagination saw spy scenarios everywhere, which had my husband shaking his head and rolling his eyes. The minute you step out into the streets of Istanbul, the multi-dimensional layers begin to expose themselves almost immediately, and every one of the senses is activated–– at once: It was almost hallucinatory. It is terribly dense, there are trams, seas of yellow taxis, pedestrians, vendor carts, motorcycles, old men pulling impossibly heavy loads on old wooden carts, men balancing towers of bread on the heads, mopeds rigged with wooden palettes stacked with (full) egg cartons, groups of women in various states of “covering”: the hijab, the veil covering the head and chest, the Chador, the Abaya, and the Burqa, young women in mini-skirts. I especially loved shopping for lingerie next to the Burqa clad women. There were men sitting in manholes checking their emails on their cell-pones as traffic whizzed by around them, stray cats, dogs, elderly blind people, a constant stream of ferries crisscrossing the Bosporus every 10 minutes, well into the night, midnight fishermen crowded on the Galata Bridge, 7 nights a week…it is utter chaos and somehow it works, it even flows. One lovely boutique in the bohemian section of the city, The Aponia Store, has a wonderfully succinct t-shirt: ”Some call it chaos, and we call it home.” That pretty much says it, but I would add one more wild fact which I read on a label under a photo, included in a photography exhibition of beautiful black and white images about the challenging and changing nature of Turkey, at The Istanbul Modern, (a fantastic modern art museum.) Dated 2013, it read: In Istanbul, 9 million people use 19 different means of transportation 21 million times a day. Whew. It was my first trip to a predominantly Islamic country, and I was completely curious to experience how that fact would influence the ins and outs of daily life. To try and innumerate what it was exactly that was so extraordinary about the place is almost impossible but I will give it a go. 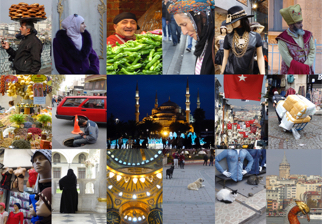 Here are seven things (among hundreds) that make Istanbul unforgettable, wondrous and a place I must return to. As I mentioned earlier, the geographic location of Istanbul sets up the scene, and one must understand how it shaped and continues to influence the city, and has bestowed upon it the gift of seeing ancient Egyptian Obelisks, ancient Roman Viaducts, and Cisterns, Sultans Palaces, Mosques, Byzantine relics and ancient Roman city walls from 400AD, Roman Catholic Churches from the 6th century and on and on…Everyone wanted, and still wants a piece of the place. The strategic importance of the site was not lost on the Greeks, who founded it as Byzantium on the European side (the Western side of the Bosphorus Strait,) in 667 BCE. In 196 AD it was besieged and conquered by Roman Forces, and then ruled by Septimius Severus, who rapidly rebuilt it. In 330 AD, it garnered the attention of the Roman Emperor Constantine I, who was moving away from the “old” Roman ways and had converted to Christianity. He was so taken with its beauty and qualities that he dedicated it as his imperial residence, thus the Eastern capitol of the Roman Empire, and as such it was renamed Constantinople after his death. Constantinople was the western terminus of trade on the Silk Road, from which ships sailed to and from Western Europe, and according to the UNESCO website, from the 4th century onward, it is most probably “the Rome” in the saying, ”All roads lead to Rome.” At such a crucial constellation between Asia and Europe, Constantinople instantly became the most powerful cultural, commercial and diplomatic center for exchange between the East and Western Europe, and the capitol of the Byzantine Empire. In the 6th century, Emperor Justinian I ordered the construction of the Aya Sofya, (Hagia Sophia), and it was consecrated in 537, becoming the religious center for Eastern Orthodox Christianity. During the 4th Crusade, in 1204, it was captured and sacked by French and Italian Catholic Crusaders, effectively replacing the Orthodox Byzantine Empire. It is worth noting that the influence of the French culture remains strong in Istanbul, as in the latter centuries, a number of the Sultans maintained close ties with France and were greatly influenced by and had a great fondness for French artistic craft and architecture. In 1453, the city was overrun and conquered by the Ottoman Turks, led by Mehmet II, who promptly converted the Aya Sofya into a mosque. Other churches were torn down and mosques built on top of their ruins. In 1517 the Ottomans conquered Egypt, and brought the caliphate to Istanbul, which then became the center of the Islamic world. The Sultanate, particularly during the reign of Suleiman the Magnificent (1520-1566) dramatically changed the face of the city building palaces, mosques, bridges, as well as facilitating the exchange of ideas, customs, goods, skills, and crafts, transported via trade routes that passed through Istanbul, thus bringing new influences and cultures together, and promoting innovation in the Ottoman arts of ceramics, calligraphy and stained glass, which became vital components of the city’s history and identity. After World War I, the British, French, and Italians occupied Constantinople and exiled the last sultan, Mehmed VI. In 1923, Mustafa Kemal Atatürk founded the modern republic of Turkey, and renamed the city Istanbul in 1930. Although Atatürk transformed Istanbul into a modern, “secular “ city, the fact remains that it is a predominantly Islamic city, and the spiritual and religious life continues to dominate its very core. There is no escaping the practice of Islam, as Istanbul has 3,113 mosques, many of which were built during the Ottoman period, on the sites of former Roman Catholic Churches, either destroyed or altered and converted into Mosques. They are spectacular examples of religious architecture, one being more beautiful than the next. A lesser known but good example of this cultural, religious layering is the Arap Mosque, or Arab Mosque, which was built in 1325 by the Dominican Friars as a chapel dedicated to Saint Peter, and is the only surviving example of medieval Gothic Architecture. It was altered, and converted into a mosque by Sultan Mehmed II, and during the Spanish Inquisition of 1492, given to escaping Muslim Arab refugees from Al-Andalus. It is also interesting to note that during this time period, Jews persecuted in Spain and Portugal were encouraged to establish themselves in Istanbul as well, and a number of beautiful Synagogues remain. Of course the most famous and without a doubt the most magnificent example of religious transformation is the Aya Sofya, built as a Roman Orthodox Church in the 6th century, then converted into a mosque in 1453 by Mehmed the Conqueror. The transformation began with the construction of a Mihrab, an ornamental indentation or niche in the wall of a mosque, which marks the direction of qiblah, or the Ka’aba in Mecca, in modern-day Saudi Arabia, the direction all Muslim worshipers must turn to face during daily prayers. A Minbar, (a raised platform in the front area of a mosque, from which sermons or speeches are given) was also erected. Other significant changes were made in deference to Islamic law such as the covering of the tile mosaics depicting Christ and other “beings” which were painted over with a thin covering of lime. Even the four Seraphs at the base of the large dome had their faces covered with metal discs, in accordance with the Islamic laws shunning the creation of images of sentient living beings. So many things of a religious and spiritual nature were of constant surprise to me. All of them pleasant and memorable. As Istanbul is a hilly city, there are seven hills, the beautiful domes of the mosques, and the slim towering minarets, reign over the city, dotting the skyline with a romantically magical quality. The minarets were originally constructed as the platform for the Muzzein’s call to prayer, and as you can imagine, with so many mosques there is a bit of a competition amongst them at prayer time. These hauntingly, melodious voices ringing out over the city five times a day, sent real shivers up my spine. I did not need to know exactly what they were saying, but I could feel the spiritual quality and was surprised by its effect on me. I would simply have to stop doing whatever we were doing and just listen. Aside from the fact that the interiors of the mosques are just breathtakingly beautiful, there was something moving about participating in the rituals of removing ones shoes, and for women the covering of the head with head scarves enabled me to participate in the sanctity of the place. One particular day when visiting the Suleymani Mosque a large group of elderly women, all dressed in black, (their faces exposed), all the same height and roundness came in to worship. They were different than the others, obvious religious pilgrims, and were quietly whispering and often smiling in awe at the sheer beauty of the space. I loved how they felt, and took a quick moment to capture a few images. After I put my camera back into my coat pocket I looked up and saw that they had noticed me too, as they were smiling broadly and taking my picture! There I was, the tall lady, oddly out of place in her headscarf, and they seemed to find me hysterical. I was as much an anomaly for them as they were for me and we smiled knowingly at each other. Outside of every mosque, were beautiful marble fountains for ablutions, where men (only), the women went into the restrooms, sat washing their hands, arms, faces and feet, before going in to worship. And it was cold outside. For that matter, there were such marble fountains all over the city with beautiful brass spigots also used for cleansing. Many also had a tin cup on a chain for shared drinking. Even in the wondrous Grand Bazaar, such fountains existed, where there was always someone sitting and washing, as a prelude to the call to prayer, which was offered at select locations, where men lined up, filling the Caddesi, or lanes with small prayer rugs, and the entire commerce in many shops would come to a grinding halt. It is unavoidable, no matter where you are. Things just stop. And speaking of stopping, this constant awareness, a sort of collective mindfulness seems to prevail in many aspects of daily life, from the highly aesthetic display of food, to the carefully chosen and draped headscarf, or the constant cleaning of place and self, and just the general realization that one is not isolated and alone, acting independently, and that we are somehow all connected. We were so often struck by civil acts of kindness, between complete strangers. Everyone helps everyone. When an elderly man fell in the street, a man jumped out of his car stopping traffic, creating a traffic jam in order to help. And when one Taxi directly behind him honked, twenty other honked and yelled at him, admonishing him for his thoughtlessness. I’ve never seen that in any major cosmopolitan city. One incident in particular really stuck in my mind. We were walking down a congested street in the Textile district, when a man directly in front of us suddenly stopped, bent over and picked up a piece of chewing gum lying in his path. He carefully removed it to a safe place behind a pole, where no one else might step on it and continued on. We actually stood there dumbfounded for a few moments, struck by such a selfless act. That‘s not to say that there are not slums, and that bad, mean and angry people don’t exist, but the overwhelming feeling was pretty awesome. Of course the intense police presence, with men in full riot gear, sporting dreadful looking machine guns, in anticipation of possible rioting, does not fall into that category. Conversations without tea are like a night sky without the moon. Even those nasty looking policemen wound up surprising me though. We stumbled upon a large group of them sitting in a back-alley café serenely drinking tea, smoking cigarettes and playing backgammon? The ritual of Tea Time is as equally powerful and as often, if not more practiced as the daily prayer ritual. It is part of everyone’s daily routine. No matter where you are, no matter what you are doing, there is always a Çay (Chai) a tea man running around with a silver tray, laden with small beautiful tulip shaped clear glasses filled with piping hot Turkish Tea, the tinkling sound of small spoons stirring tea is everywhere. Like the time we were walking along the hippodrome, checking out Ancient Egyptian Obelisks, I heard that tinkling sound and turned to see burley construction workers taking a break from digging ditches for water-pipe repair, squatting on their break, stirring cubes of sugar into their delicate tulip-shaped tea glasses. Or the time we watched in amusement as a garbage truck stopped in the middle of an old, 19th century narrow, sloping street, and the garbage men jumped out and walked up onto the sidewalk, as a Çay man appeared out of nowhere with a tray full of those delicate glasses of piping hot tea. No paper cups here, no sir. These men stood drinking tea and smoking as traffic calmly and knowingly waited behind the truck until their 5-minute break was over. Really? Imagine that in New York or Paris! The Hamal’ or the porters, are the men who carry impossibly heavy loads on their backs, (as well as homemade saddles which they also use as seats when they unburden themselves,) can be seen sitting in small groups, taking a tea-time pause on the sidewalk, as the Çay man seems to magically appear, once more. And…the midnight fishermen on the Galata Bridge, indulge as well, with tea vendors setting up small mobile tea stands on boxes, preparing fresh, piping hot tea, to ward off the chill of the night air. That was the best tea I’ve ever tasted, and sitting with the fishermen, amidst the debris of their profession, happy to show us their angling talent was one of my most favorite memories. Cats and dogs are everywhere, I mean everywhere in Istanbul, and I don’t mean pets. The streets are full of stray cats and dogs, large dogs which all mind their own business, walk around, take long naps and generally get along with each other and people. In fact, in most places it is common to see bowls of food and water discreetly placed for them by local residents and businesses. So, there are definitely more cats than dogs. Almost every business seems to have a cat. Shoemakers, Music stores, Museum gardens, bookstores, high-end boutiques, bars, hotels, nightclubs–– everyone loves them, and allows them to come and go as they please. It is not uncommon to be trying on a pair of expensive shoes, while a beautiful, well cared for cat brushes against your leg, before darting out onto the street. I love that. The dogs look ferocious but just spend their days hanging out, waiting for food, and occasionally barking at cars they don’t like. They never assault people and they seem to have an agreement with their local feline counterparts. How can this be? One night we sat next to a lovely couple from Dublin, and the woman turned out to be a veterinarian, there to give a lecture on as she said,” bunnies and birds, as the exotic pet-trade has picked up in Istanbul.” I immediately asked her about the profusion of street animals and she cleared it up for us. Apparently Istanbul is a “no-kill” city, with the entire population standing behind this humane law. Whenever possible, the state actually rounds the animals up, inoculates them, cares for them if they’re sick, spays and neuters them, then sets them free, knowing they will be well cared for. We never once saw a mangy dog or alley cat. They all looked perfectly healthy and happy. There are even neighborhood favorites. That is so cool. Those awesomely beautiful predominantly blue tiles that adorn the Blue Mosque, the Rustem Pasha Mosque, and many parts of Topkapi Palace are called Iznik tiles, which came from the town of Iznik in Western Anatolia, via the Silk Road. They were produced in the last quarter of the 15th century up to the end of the 17th century, when production began to decline as the massive building projects of the Ottoman Sultans were on the wane and competition from the more highly crafted Chinese Ceramics began to erode the marketplace. In the Sultan Ahmed Mosque–also known as the Blue Mosque for its abundant 20,000 tiles originally cobalt blue–the color palate expanded to include, turquoise, and pastel shades of sage green and pale purple. In the middle of the 16th century, a Bole red replaced the purple and a bright Emerald green replaced the sage. The Rüstem Pasha Mosque is famous for its Iznik tiles, which have beautiful floral patterns as well as geometric designs. I was surprised to see the tulip among the hyacinths, carnations, roses sprigs petals, and Pencs, (the stylized top view of flowers.) There was a sweet man selling books in the courtyard, who explained that the Turkish love of the tulip came from the Ottoman period, as the beloved flower of the sultans. I went back to the hotel and did a little research and discovered the Tulip Period, in the 18th century, when a “tulip craze” firmly established itself as the Sultans began to orient themselves towards Europe. The tulip came to define nobility and privilege and became celebrated in the Ottoman court. This passion for tulips extended into paintings, silks, and textiles and was used in the Sultan’s Palace clothing, and came to represent the wealthy and elite. In Turkey today, the tulip is still considered to embody perfection and beauty. Who knew? The Tulip motif was carried over onto the famous Turkish Carpets, especially those commissioned by the sultans. Massive Turkish Carpets, cover the floor of every Mosque; a centuries old art, originally of practical use, from the region of Seljuk Anatolia, during the Seljuk Period, 1037-1302. The history is long and complicated but it is worth mentioning the weaving workshops of Herke, established in 1843. These carpets are known for their fine weaves and used silk, or fine wool threads, and upon occasion, gold, silver and cotton threads as well. In the Topkapi Palace they featured intricate floral designs, of course including the tulip, as well as the daisy, carnation, crocus, rose, lilac, and hyacinth. I have to say, I just fell in love with this city. Not only are the people warm and openhearted, we also share a common fascination with exquisitely crafted jewelry. The artistic craftsmanship in the city in general is absolutely outstanding and the jewelry is no exception. Once again, we’ve got those Sultans to thank, as their obsession with all things beautiful has carried over to modern times. However, the treasury at the Topkopi Palace, the seat of the Ottoman sultanate takes the cake. The palace’s ornate opulence is right out of a fairy tale, and legends, and stories abound about the pleasure seeking Sultans, their beautiful concubines, plotting courtiers and viziers, competing eunuchs and the general palace intrigues involving dignitaries and visiting world leaders. But my absolute favorite story is that of the-––Spoon Makers Diamond. First of all, the palace treasury is brimming with one astonishing bejeweled object after another, to the point of making you dizzy. Heavily guarded vitrines displaying bowls full of emeralds the size of dinner rolls, flamboyant turban ornaments dripping with pearls, rubies, emeralds, gold and diamonds, called sorguç, which were the equivalent of crowns: a symbol of power and authority that was worn by Ottoman sultans on their quilted turban. The diamond is an 86-carat pear-shaped diamond, and believed to be the fourth largest diamond in the world. It sits in a silver setting surrounded by 49 old-mine cut diamonds, just for that extra bling! I had no idea that Istanbul was home to one of the oldest institutions of higher learning in the world. Istanbul University, was founded when Mehmet II conquered Constantinople. It began as a madrasah, a theological school, and catered to educating the ruling class of the Ottomans. During Ataturks reformation in the 1920’s, the institution was renamed Istanbul University and restructured to include departments in medicine, law, literature, theology, and science. Interestingly enough it benefited from the flight of Jewish academics that fled Germany during the Third Reich and became a vital force of the teaching staff. Many academics educated there were able to go on to establish other institutions of higher learning in Istanbul and in Turkey in general. The university prides itself as being a leader in the movement towards enlightenment, and modernization, bridging the gap between science and cultural life. Then there is Boğaziçi University a public university located on the European side of the Bosphorus strait in Istanbul founded in 1863, it has the distinction of being the first American Institution of higher learning founded outside the United States. It has strong ties to the Robert College of Istanbul, a co-educational private high school, and boarding school, with an awesome campus also on the European side of Istanbul. The 150-year-old institution is the oldest American school still in existence in its original location outside the United States, and is accredited by the New York State Association of Independent Schools. Another university is the Francophone University, Galatasaray University, which was established in 1992, by an agreement of the then president of Turkey Turgut Özal and the French president Francois Mitterrand. It is a participant in the European Erasmus and Socrates exchange programs, and has close to 50 European students, as well as representing a secular tradition of teaching. The courses are tri-lingual: in Turkish, French and English;and fluency in both French and English are required. On top of that the university is housed in the former Feriye Palace, a coastal summer palace on the Bosphorus built in 1871; one of the many architecturally stunning second Sultanate homes lining the waterfront of Bosphorus. Nice place to study! The Istanbul Technical University, ITU, is the world’s third oldest technical universities, dedicated to engineering sciences and recently to the social sciences. And lastly, because one must stop somewhere, is the Mimar Sinan Fine Arts University, founded in 1882, as the “School of Fine Arts,” by the renowned Turkish painter Osman Hamdi Bey. It became co-educational in 1914, and the name was changed several times, finally becoming what it is today, in honor of the famous Ottoman-Armenian architect Mimar Sinan, responsible for many of Istanbul’s most beautiful Mosques. Well, now I guess I have to stop, but I never discussed Turkish Delights, Hamams, Pomegranates, or the nazar boncuğu, the Turkish talisman against the Evil Eye. The thing about traveling is that you can have the most amazing, and profound experiences if you are willing to open yourself up and embrace the “difference” of the culture you find yourself in, without judgment, and without needing to find your “place” in it. Just be there, and be “present” and the mysteries will reveal themselves in the most wonderful, and unimaginable ways, which will invariably find you just where you need to be. Grammy Award-winning Rubén Blades is a wonderfully gifted Panamanian poet and songwriter whose works often take on a political tinge. Raised in a progressive family, his grand-uncle was a revolutionary during the Cuban War of Independence against Spain. His mother was an actress, his father a musician, and the girls in his family attended college. Ruben himself studied international law at Harvard on a full scholarship. I knew Rubén back when he lived in Santa Monica. I once had him over for my mother’s famous bolognese spaghetti, along with his wife and an architect friend, Bob Ramirez, who designed my home. Rubén’s Grammy Award last week for Tangos and the recent news about Pope Francis’ declaration of the slain Archbishop Óscar Romero’s martyrdom brought to mind a tribute he wrote back in 1984 titled “El Padre Antonio y Su Monaguillo Andrés” (“Father Antonio and His Altar Boy Andrés”) from the album Buscando America. The song was performed by his great then-band Seis del Solar, fronted by Oscar Hernández (who now leads the Spanish Harlem Orchestra). 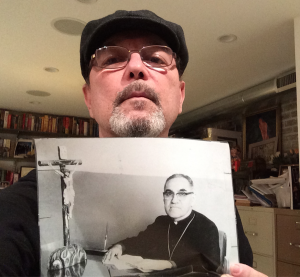 Ruben Blades posted this selfie on February 3, 2015, along with a letter to Monsignor Romero. 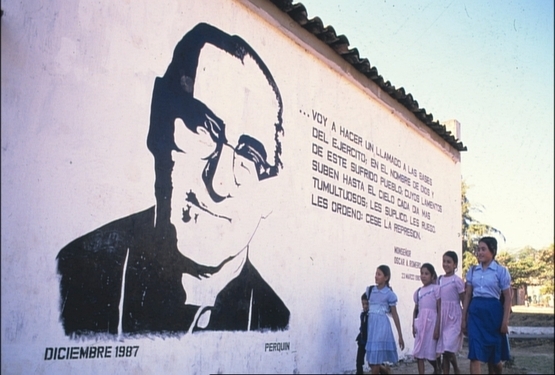 Archbishop Romero, like Pope Francis, championed the rights and struggles of the poor in Latin America. He was a proponent of liberation theology, an interpretation of the Scripture that dictates working actively toward social and political justice by aligning oneself with the less fortunate, like Jesus did. The Archbishop publicly opposed El Salvador’s right-wing government and its brutal military repression at the very onset of the country’s 1980–92 civil war and was consequently assassinated at the altar for his convictions, by order of the Alianza Republicana Nacionalista founder. A formal apology was finally issued for his murder by the El Salvadorian government as late as 2010. Rubén wrote “El Padre Antonio y Su Monaguillo Andrés” during the time of the civil wars in both El Salvador and Nicaragua, the Reagan administration and the Iran-Contra affair. Former President Ronald Reagan, Oliver North, Ed Meese, et al were in support of El Salvador’s military dictatorship, working to oust leftist Nicaraguan President Daniel Ortega. Buscando America has always been one of my favorite albums of Rubén Blades. And now 35 years later, thanks to Pope Francis, Archbishop Oscar Romero is one step closer to sainthood, bringing closure to “El Padre Antonio y Su Monaguillo Andrés.” Have a look at the lyrics translated below. And in spite of the heat and the mosquitoes he talked about Christ. For those in search of salvation. He attends Simon Bolivar Elementary School. He loves the river, playing soccer, and playing hooky. That once you have one connected to God, by default you are connected to Him as well. He knows by experience that is not a solution. Handing out communion with his sleeves rolled up. And Andrés died at his side, without ever meeting Pelé. There in agony, was the wooden Christ nailed against the wall. Who killed Father Antonio and his altar boy Andrés. 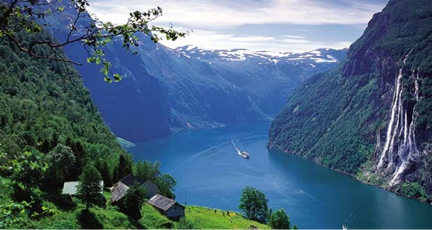 There is so much to be said of Norway, known for its breathtakingly beautiful natural environment, vibrant cultural life with cosmopolitan cities brimful of architecture that showcases the famous Scandinavian flair for design. But for the sake of brevity, in this post we’ll touch on a number of facts about the country and its education system and share a handful of fun facts. We realize we’re not doing Norway full justice, and apologize in advance, as there are so many interesting facts to share. We encourage you all to visit the links provided for even more fun facts and information. 12. In the 1970s and 80s the Folkeskole was abolished and the Grunnskole was introduced. 13. Education is free, even higher education. 19. It is illegal to spay or neuter your dog in Norway except under specific circumstances regarding health, quality of life, or utility. 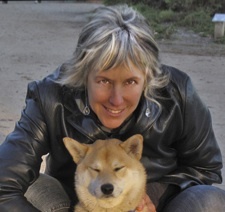 Source: Should dogs be neutered? 20. 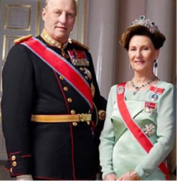 Norway has the World’s biggest sovereign fund, where it has been saving almost all the money it gets from the sale of oil and is worth almost a trillion dollars Source: Norway: Is world’s largest sovereign wealth fund too big? 23. 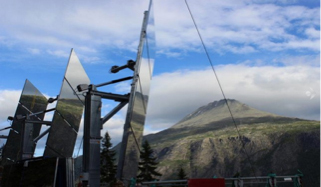 Norwegian prisons are known to be the most luxurious prisons in the world. Norwegian prisons have also won a design award. Though accommodations may be ultra luxurious, the criminals on release demonstrate the lowest rate of re-offending in Europe, if not the world. 26. Wondering how much your co-worker, boss, neighbor, friend, or cousin makes? It’d be no secret in Norway where income and wealth are public record; a practice shared by other Scandinavian countries. Making the data public demonstrates the Scandinavian tradition of jantelag, which translates roughly as nobody is better than anyone else. ACEI (est. 1994) is a U.S.-based full service organization assisting individuals, colleges and universities, regulatory boards, employers and state and federal government agencies with the evaluation, verification and translation of international education credentials. In addition, ACEI’s webinars and training programs provide international education specialists with up-to-date information on world education systems, student mobility trends, and credential evaluation methodologies. For more information on ACEI and its services, please visit www.acei-global.org.